Welcome to this Nearly New Gated Estate with an Amazing View of the Toronto Skyline that h..
Nearly New! Offering Approximately 10,000 Sq Ft Of Luxury Living. Stately Stone And Brick Custom Bui..
"Stonebrook" 1.5 Acres Park Like Setting With A Sparkling Brook In Prestigious Fawnridge Estates Fea..
16342 York Durham Line Stouffville. Own Architectural History. This Country Estate embodies Elegance and Sophistication. Own Architectural History! A Harry B. Kohl Designed Masterpiece on 25 Acres of Mature Hardwood.. Newly Finished West Coast Inspired Mansion On 13 Flat And Clear Acres In Prestigious Area Of Stouffv.. Custom Built Executive Mansion Offering 5 Bedrooms/5 Washrooms & Approximately 8,000 Sq Ft Of Ta..
46 ACRES NOT IN OAK RIDGES MORAINE. FUTURE DEVELOPMENT POTENTIAL. 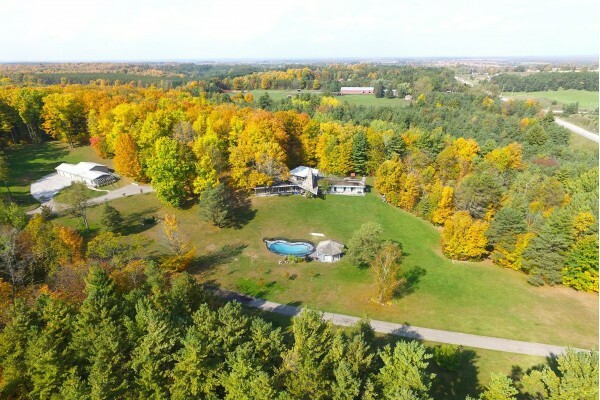 46 Acres 2.5 Miles to ..
10 Acre Estate On Edge Of Newmarket In Growing East Gwillimbury. Enjoy The Lifestyle & Watch The.. Stunning 1 Year Old Custom Built Stone & Stucco Mansion On 1 Acre On Prestigious Bethesda Rd In ..
15278 McCowan Rd - Stunning Stone And Brick Estate On Private 2 Acres In Preferred Location. Stunning Stone And Brick Estate On Private 2 Acres In Preferred Location. Masterfully And Tastefully.. Extraordinary Private 100 Acre Country Estate With All You Can Dream Of In One Location. A Perfect C..
Senstational Custome Home Located On 2 Gorgeous Treed Acres Nestled In The Vivian Forest and minutes..
Prime Location. Beautiful custom built bungalow nestled on picturesque 27 acres. Nature lover’..
Sensational Nearly New Custom Stone Mansion With Bright Open Concept And Large Principal Rooms. 10 -..
Nearly New Approximately 6000 Sf Mansion Built To The Highest Standards And Best Technologies. 10 To..